Classic Marble Restoration is the company that you should choose if you need marble polishing. In order to ensure that we provide our customers with the best service, we use state-of-the-art cleaning and polishing materials. Many people think that marble polishing is an easy job. However, there is a lot more to it than many people realize. There is a meticulous step by step process that we take in order to ensure that the marble looks its best. 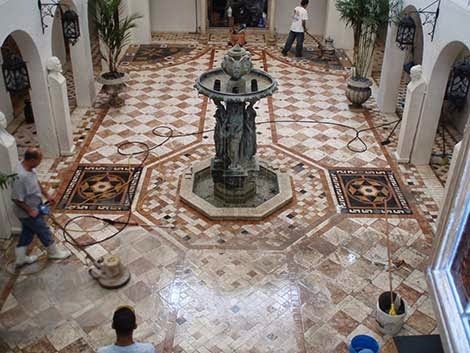 Our Fort Lauderdale marble floor polishing company was first established back in 1999. One of the reasons that we have been able to stay in business for so long is because of our commitment to quality service. We know that our customers expect nothing less than the best. We also know that loyal customers are one of the keys to a successful business. That is why we want to make sure that every client is satisfied with their service. Not only do we offer marble cleaning and polishing, but we can also give you tips that will help you care for your stone. Proper care is one of the keys to maintaining the look of your marble stone. If you have any questions, then you should not hesitate to ask. We will be happy to help you.